Jimdo puts the power of website creation in the hands of ordinary people. Anyone can share their passions and interests on the Internet -- on their own website -- simply and easily. One of our main cultural aspects at Jimdo is to make everything as transparent as possible. On this blog we want to give you a deeper insight into our daily work as developers. We have already started with some formats like “5 minutes with Jimdo”, JimdoTV, the 3 founders and our company’s blog keeping customers up to date with new features and our work. 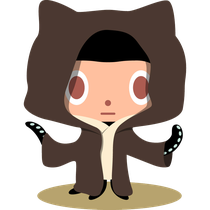 You might also want to check out our open source projects on GitHub.